Michael Sahakian, a prominent real estate agent in the Beverly Hills market, has joined the prestigious Haute Living Real Estate Network. Michael Sahakian, a prominent real estate agent in the Beverly Hills market, has joined the prestigious Haute Living Real Estate Network. This exclusive circle of leading real estate agents is invited to bring opulent estates and luxury properties to Haute Living readers. Since 1987, Sahakian has been known for being one of the top producers in the area. He is considered a marketing specialist and a strong representative for both buyers and sellers in any price range. Haute Living Magazine will feature Sahakian as an exclusive Haute Living real estate professional. Haute Living Real Estate Network specializes in selecting top real estate professionals, creating the most prominent directory for exclusive listings. The network website is an online destination for all things real estate-related and features daily blog posts providing up-to-date news on affluent markets and real estate developments. Access all of this information and more by visiting http://www.hauteliving.com/hlrn. Michael Sahakian is the Assistant Manager at the Coldwell Banker/Previews in Beverly Hills South office. 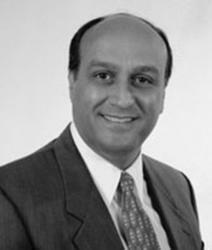 He has evolved into a widely recognized real estate professional for his dedication and commitment to his clients. Sahakian also had the honor of being awarded the prestigious membership into the firm’s "International President's Elite," which is made up of Coldwell Banker/Preview's top one percent.